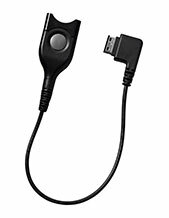 Plantronics MDA480 QD Headset Switcher is a device that helps users manage calls from different devices. There are several softwares and technologies used together with the devices, including Powerful Analytics and Plantronics Manager Pro. The former helps in tracking deskphones’ analytics and numbers while the second is a software that supports services. 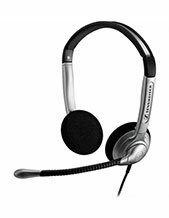 Plantronics MDA480 QD Headset Switcher offers seamless call switching functions and improved call handling and management skills. 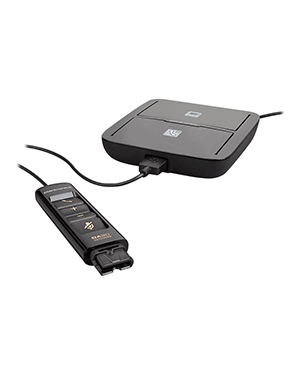 It also contributes to user’s freedom to move around the office or workstation through Quick Disconnect feature. This device helps in making sure that featues can be accessed easily. Some of these features include call answer/end, volume controls, and mute function. Do you want more information about this device? Talk to our company representative by calling Australia wide 1300 131 133! Established in the year 1961 in America, Plantronics is a consumer electronics that operates under the strict guidance of President and CEO Joe Burton. This company is headquartered in Santa Cruz, California, with the assistance of approximately 5,000 employed experts all over the world and a lot of partners, distributors and suppliers in 80 countries. Plantronics takes pride in being one of the best business and consumer audio communications equipment developer and manufacturer. While headquartered in California, the company manufactures its products and solutions in Mexico and China. Plantronics was founded in the year 1961, when all the headsets offered in the market are bulky and large. The company was the one responsible for introducing lightweight headsets. In fact, the development of lightweight headsets is the main reason why the company was created in the first place, with the leadership of United Airlines pilot Courtney Graham and his pilot friend Keith Larkin. Headsetsonline Pty Ltd is an Australian supplier and wholesaler of audio and sound devices and solutions in the location market. This supplier was a new division of a popular enterprise that has been delivering high quality headsets to government and corporate sectors since it was established in the year 1998. Headsetsonline offers a powerful product portfolio, which is why all types of customers rely on the company when it comes to their audio and sound needs and preferences. The company delivers Australian standards certified products and solutions from Australian distributors coupled with warranties that can be used Australia-wide. In addition to these offers, the company also provides high quality services ensured to be top-notch due to decades of experience catering to customers’ needs. 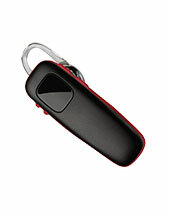 Headsetsonline provides customers with more than just quality but also affordability and online security. Operating through enterprise-encrypted and secured site, Headsetsonline.com.au, customers are guaranteed to be protected while doing their online shopping.